Since the beginning of this year, we have witnessed not only one but THREE ill-treatment against our strays. Isn’t this alarming? First,burned alive, then hit with a sabre and most recentlypoisoned. The barbarity seems to never end. Every now and then we hear about such cases and finally, nothing is done to remedy to this rampant issue. Willy-nilly, those in authority, are not taking affirmative measures to eradicate animal cruelty. What factors in the lack of awareness of people concerning animal rights is the unwillingness to introduce an animal police unit. If we cast a glance at the Animal Welfare Act, such abuse should be punishable by law. But what about Mauritius? No one is accountable to finding the real culprits. Animals cannot speak for themselves and it is OUR responsibility to protect them. One of the greatest leaders, Mahatma Gandhi said that the progress of a country hinges on the way it treats its animals. 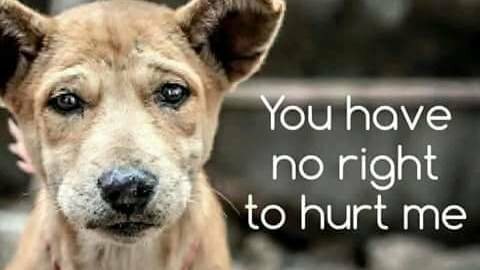 If we were to make a sincere introspection of how much we care about our furry fellows, we would be appalled to find out how insensitive we are. Be the change! It all starts with YOU! Previous StoryIt starts with YOU! Next StoryLet’s reach 1.2 million!